Making movies is all about collaboration. 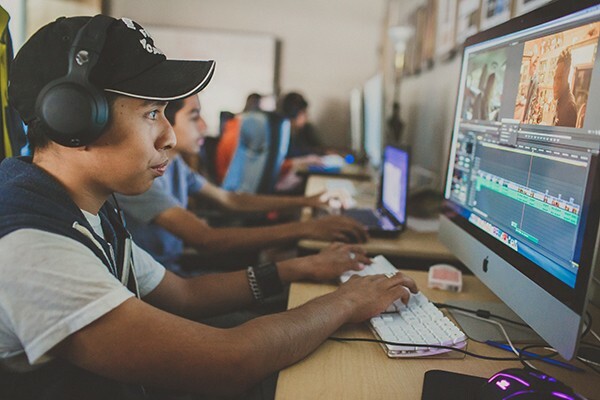 In order to complete any film project, students need to work together as a team. 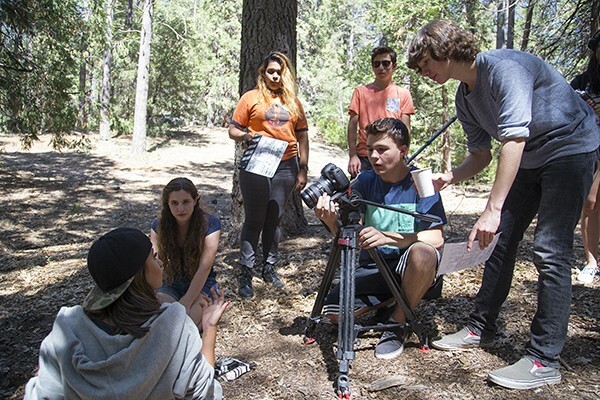 The skills young filmmakers learn at Idyllwild Arts are not just technical relating to f/stops and camera angles; they are also team collaboration, budgeting, time management and so much more. 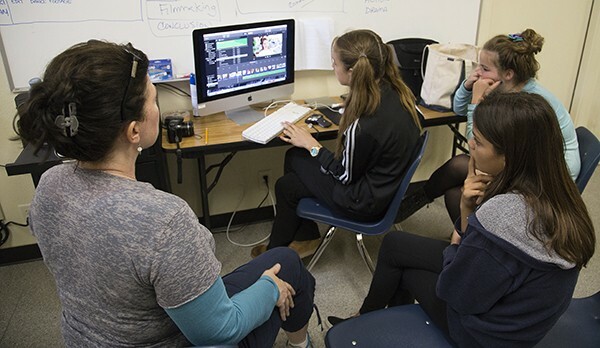 From screenplay to final edit, the students learn how to make movies by making movies. They do not just talk about movies they actually make movies. Filmmaking is a fun way to share your stories visually. No matter what you can imagine, we work together to devise creative solutions to seemingly impossible ideas. 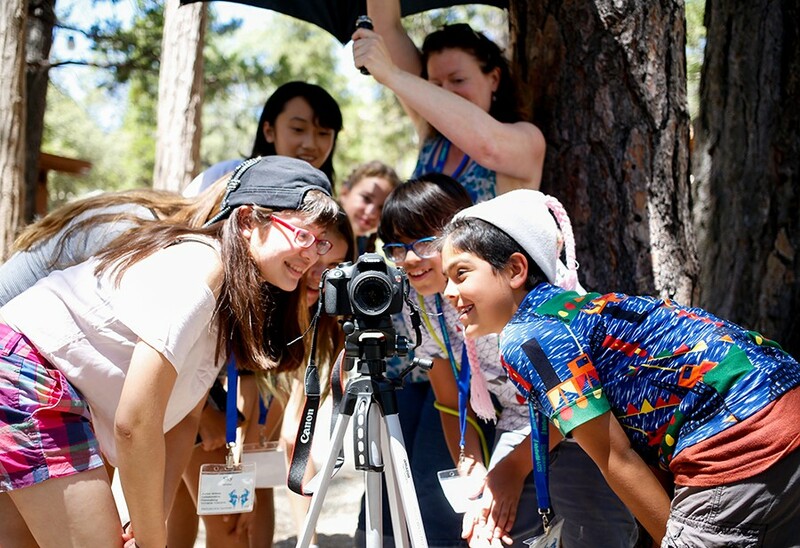 At this summer film camp, your imagination is KING! In Pre-Production, you and your classmates work together to create, plan and storyboard your own short films. Then in Production, you learn camera framing, angles and directing to shoot your films with everyone participating in all roles of a film crew so we all experience the full process, both in front of and behind the camera. Finally in Post-Production, you put all the pieces together using iMovie. The workshop ends with the world premiere of your masterpieces! Bring your imagination and get ready to make a movie! Saturday, July 20, 2019 – 10 a.m.
Are you the next great filmmaker? Filmmaking is a powerful but challenging art form because it takes a team to make it happen. How do you tell your story, organize your shoot, manage your technology, and work with others? 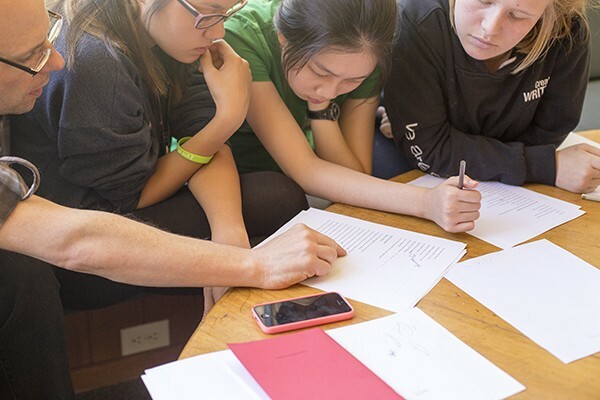 In this workshop, you will create and collaborate with your peers, using teamwork to get the job done. The program is ideal for the beginner or the experienced student. We meet you at your level and find new ways to push your skills forward. Your filmmaking team will create, plan and storyboard your own short films. Everyone will perform all acting and film crew roles, so you can experience the full process, both in front of and behind the camera. You will learn camera angles, directing and introductory editing, and get hands-on experience with digital cameras and editing in iMovie. This summer film camp culminates with a screening of your work and links to digital downloads of your projects. Saturday, August 3, 2019 – 10 a.m. This three-week practical course for seasoned and beginning actors is an intensive and fun experience both in front of and behind the camera. You will learn the intimate nature of acting on camera (versus stage) and the demands of film and TV production on the actor. The course begins with taping prepared monologues, which faculty will critique. Then you will learn to use relaxation and imagination exercises as well as improvisation techniques to prepare to shoot scenes. Faculty will guide you toward the realistic acting style required by the truth and intimacy of the close-up lens. You will explore how to use script analysis, beats, actions, and character development. You will use these techniques when auditioning for student-directed short films, which will be shot on a professional sound stage. 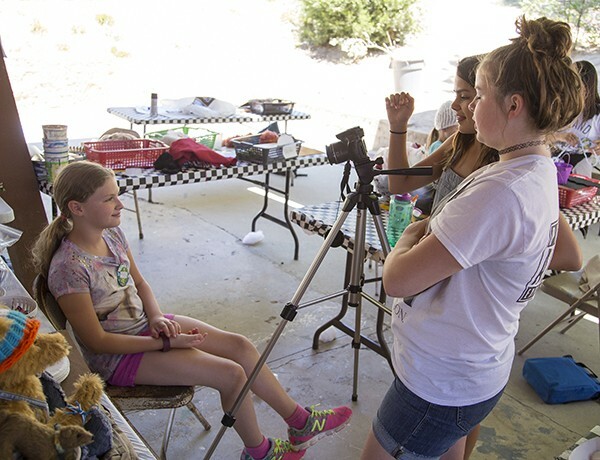 This film camp is taught with the Filmmaking Intensive. Film students will work with you to develop scene and character interpretations for their short films. Additional topics include style and genre. Invite your friends and family to see you on the big screen at the culmination. Bring your open mind and your adventurous spirit! 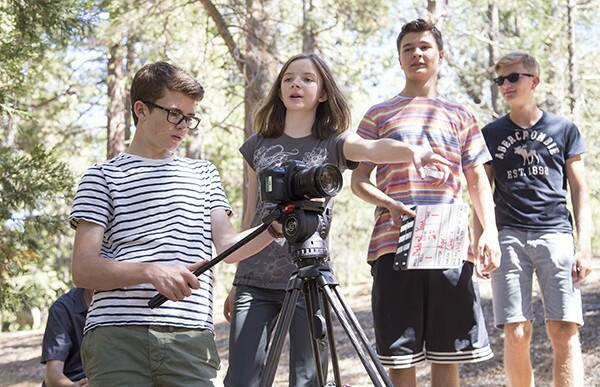 Designed for high school-aged artists passionate about making films. Using a state-of-the-art soundstage, film-based lighting and grip equipment, HD digital cameras and editing suites, you will make short digital films, from script through completion. 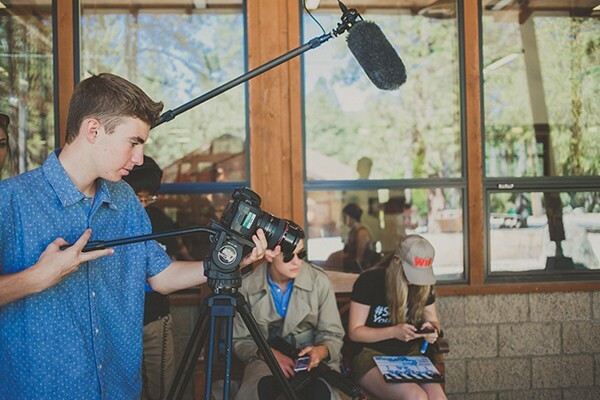 In this intensive four-week summer film camp, a team of instructors with industry experience and credits will teach you techniques of visual storytelling, and the importance of the creative collaboration between the writer, director, cinematographer, editor and actor. In week one, you will focus on story and screenwriting. In week two, you will learn proper camera, sound, directing and crewing skills. In week three, up to four films will be “greenlit” for production, and you will help complete pre-production planning, cast actors from our acting program and work in several crew positions. In week four, you will edit, score, and add visual effects. Films will be screened on the last day of classes, and you will receive a download link of the films. Projects produced in this program have won a number of awards at major film festivals. 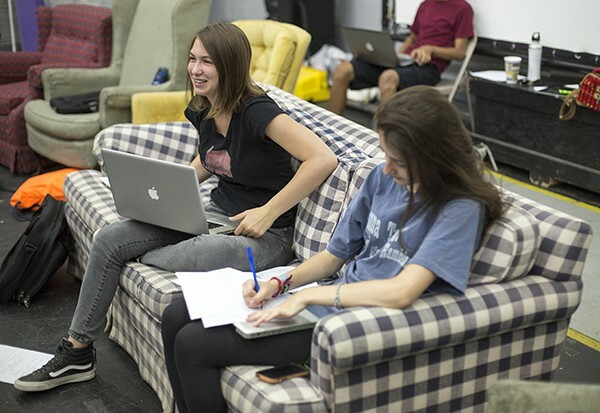 In this two-week writing intensive, students will each write an original screenplay. They will be introduced to the concepts of visual storytelling and the techniques of writing the short screenplay. The summer film camp begins with the introduction to the story structure. Students will generate script ideas, create synopses, beat sheets, and outlines to begin their scripts. Characterization, dialogue, tone and timing are covered during the writing process. Students will work with professional screenwriting software to develop their industry specific skills sets. Enrollment limited to 8 students. Boarding Arts High School Academy Film & Digital Media Program.